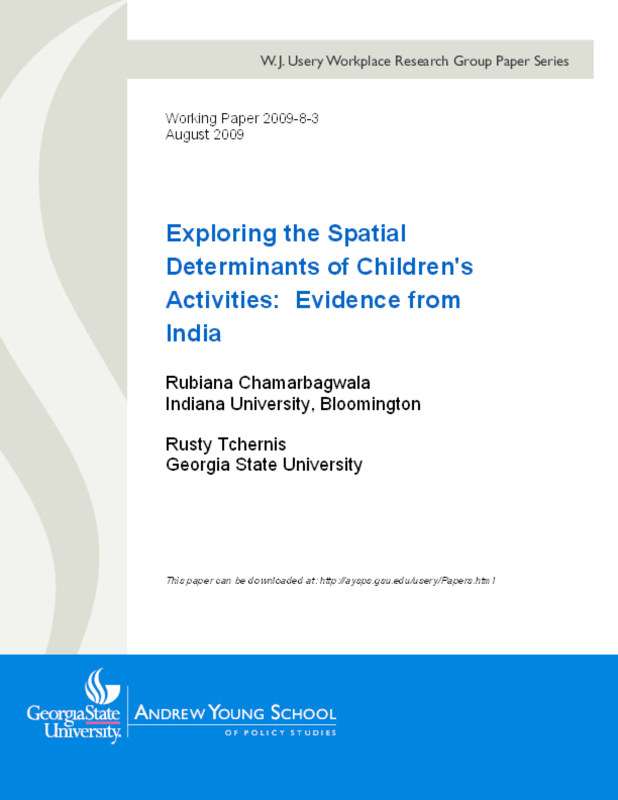 This paper investigates the choice of children's activities in India and provides recommendations for areas where policy intervention to promote schooling and combat child labor would be most successful. First, we recognize that child schooling and labor are not the only activities that children can engage in and include idleness as one of the choices. Second, we use a hierarchical model with spatially correlated random effects to analyze the determinants of the choice of children's activities. Lastly, we recommend that pro-schooling intervention be implemented in districts with favorable attitudes towards schooling and unfavorable attitudes towards idleness, while anti-child-labor interventions be implemented in districts where attitudes towards child labor are less favorable. We thus identify two groups of Indian districts to target appropriate government interventions.